Are you considering buying a house, getting a new car or thinking of signing up for a credit card offering a sign-up bonus? If any of these things are in your future, do you know your chances of being approved for that new loan, credit card or why you may not get the best rates available? It all boils down to a three digit number known as your credit score that can help you a great deal or end up costing you a lot of money over time. Your individual credit score is the result of a mathematical formula that uses the information in your credit report to determine your risk and creditworthiness. An example of information in your credit report would be the timeliness of payments of your bills in the past and using that information to calculate how likely you are to pay your bills in the future. Your credit score is calculated from your credit report. However, lenders look at many things when making credit decisions such as your income, length of employment at current job, and the type of credit you are requesting. The most widely used and main credit score is known as the FICO credit score, which stands for Fair Issac Corp and was founded back in 1956. FICO scores give lenders a quick and objective view of your credit risk at that snapshot in time based on information found in your credit report. Your individual score will vary based on information in your individual credit report, that will include things such as how much and often you pay your bills and whether they're on time. The company that gave you that loan or credit card also reports your credit, loan and payment history to one or more credit reporting companies. The credit reporting companies combine the information from your different credit, loan and payment reports into a single credit file. 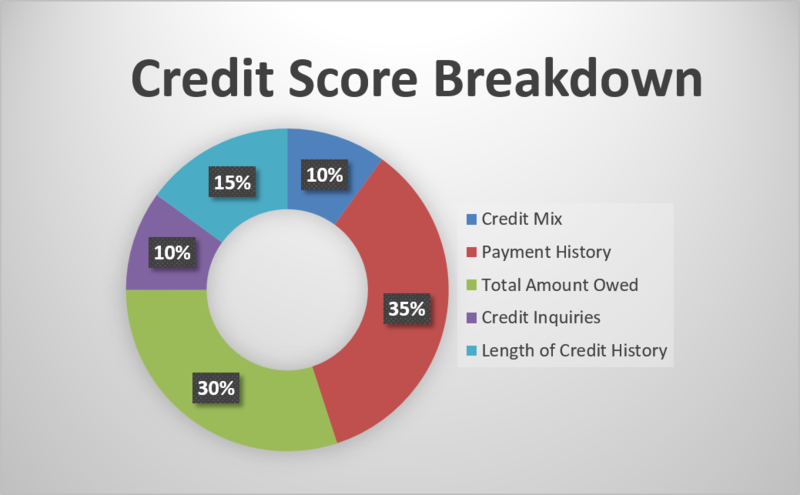 The FICO score at each of the credit bureaus are widely used by lenders and the score at a particular agency only considers the data in your credit report at that agency, so your score at each credit reporting bureau may vary slightly. Essentially it all boils down to the information in your credit report that is used to calculate your credit score which in turn helps estimate how likely you are to pay back loans or credit extended to you in the future. Since your credit score can impact your finances drastically, it is always good to maintain healthy credit by paying bills on time, keeping your credit utilization low, establishing a longer credit history, not having too many hard inquiries and monitoring your credit regularly. The FICO score range is from 300-850 and people with higher credit scores may be more likely to pay back their debts. People with lower credit scores may be less likely to pay their debts. Lenders take bigger risks when they lend money or provide services to people with low credit scores, so this is why you may be denied a loan, credit card or not given the best loan rates available. 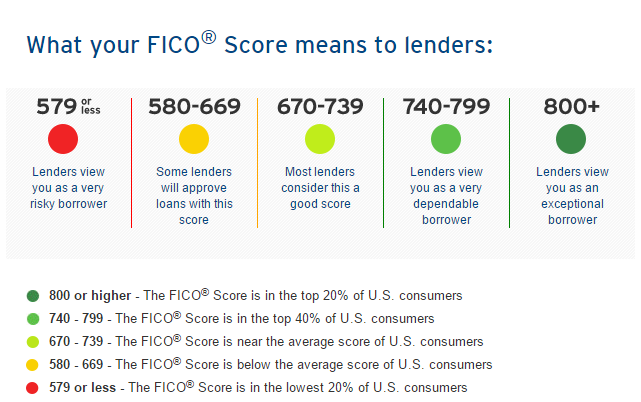 One last thing to note is that are also industry specific FICO credit scores that auto lenders, mortgage lenders and other credit lenders use. As you can see, the information in your credit report is very important and mistakes there can lead to lower credit scores, so it is important to check up on your credit report and credit score as often as you can. However, if you haven't opened any new accounts or haven't applied for any new loans lately, you likely don't know where your credit exactly stands or what your credit score is. There are a few easy ways to check your credit score and what information is on your credit report. The only drawback with using these free credit score services is that they aren't your actual FICO score, but more of a proxy credit score that can give you a good idea of where your credit is at the current moment in time. While they are using the same information from your credit reports, the mathematical formula they use to calculate your score is somewhat different from your actual FICO score. These websites that provide you with a free credit score are still valuable for tracking overall trends in your credit and still offer an approximation of what your credit score is. If you want to see your actual FICO score, you have a few options, as some credit card companies now offer your FICO credit score monthly for free for having a particular credit card through them to entice you to sign up with them. 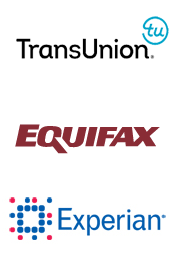 You could also pay to see your credit score by buying it through FICO at their website at myFICO.com or through one of the three main credit bureaus, Experian, Equifax or TransUnion. And lastly, Federal law allows you to get a free credit report annually from each of the three national credit bureaus where you are able to check just your credit report. This is available at AnnualCreditReport.com. If you stagger the views from each bureau and check one report every three months you can keep a close eye on your credit reports. Unfortunately, a credit score isn't provided with your credit report, but it can be obtained for a fee, as mentioned above in Option 3. Summary - Why is this important? The difference between a good credit score and a bad one can mean thousands of dollars in interest over time and will impact the ability to get a loan or a credit card. If you are looking at taking advantage of the sign-up bonus offers for all of these travel related credit cards, it's a good idea to know where your credit stands and if lower than you'd expect, you can start measures to begin improving your score so you can improve your chances of approval for the latest credit card offers.